I want to teach in a fun and exciting way, but want my students to challenge themselves and set goals. There are some hard things to learn in music but if you stick with it and push past the difficulties, then you will feel so rewarded. 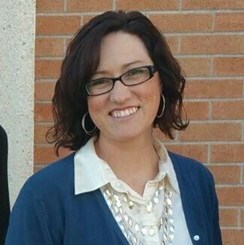 Jennifer attended Eastern Arizona College as a music major in piano performance. Jennifer has sang in school, college choir, and in the community in "Sun Valley Chorale". She has been performing in piano recitals, concerts, and church for over 20 years. Jennifer has also accompianed high schools, college choirs, church, and solo performances for over 15 years. She has played clarinet all through school and in college for two years. Jennifer has been a private teacher for over 10 years. She loves using series like Bastien, Alfred, Jennifer Ekland etc, and learning basic theory and technic, plus finding fun music that the students love to hear.